EMPTY plastic Boston style 1/2 oz. bottles with eye-dropper type caps for dispensing or storing liquids. 12 (1 dozen) per package. 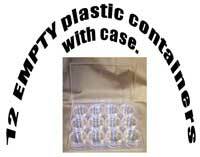 Organize your workstation quickly with these low-cost empty pump dispenser containers. EMPTY plastic carousel accessory containers for storing your teeny tiny nail and nail art supplies. 3 per package. Organize your workstation quickly with these low-cost empty containers. EMPTY plastic pots for storing your nail and nail art supplies. 12 per package. Includes a case. EMPTY plastic pump dispensers for dispensing or storing liquids liked alcohol, polish removers, and acetones. 3 per package. 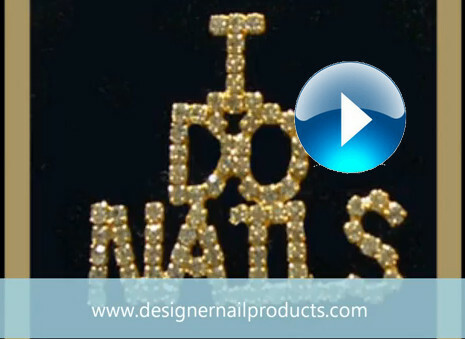 Great for storing your nail art pieces. 12 sections easy access. Nail Art Storage Cases for Nail Supplies, Nail Art Supplies, and Airbrush Supplies. Great for mobile techs too! Convenient storage and travel cases to house your valuable products.